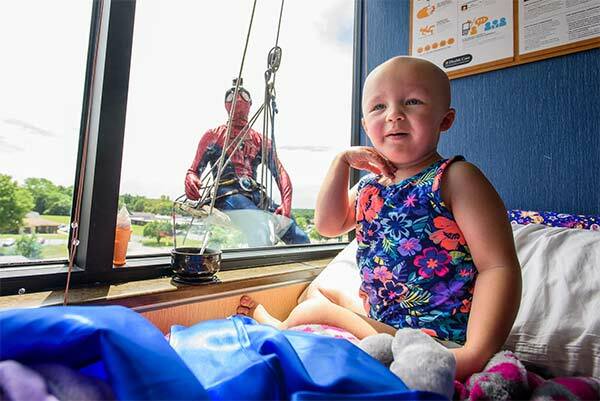 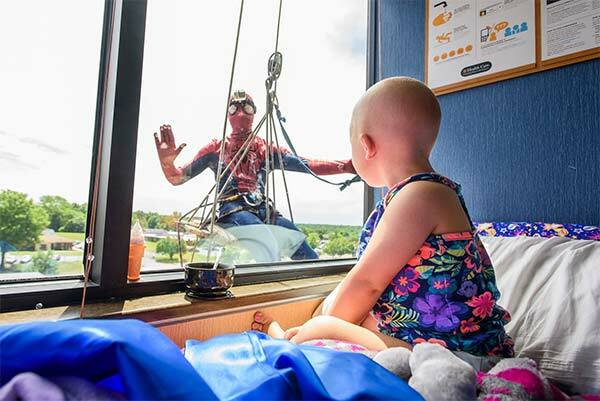 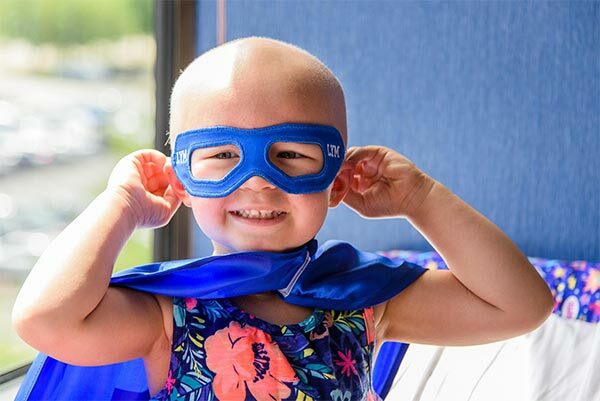 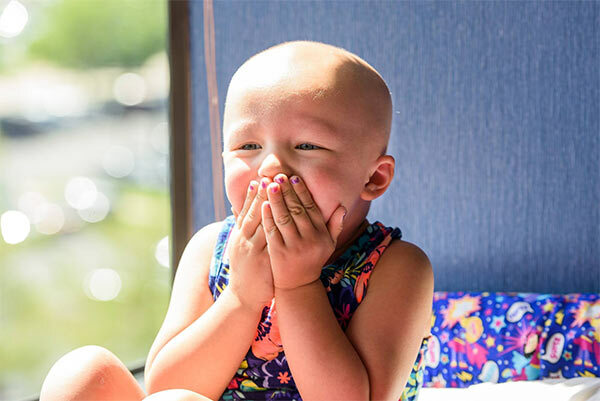 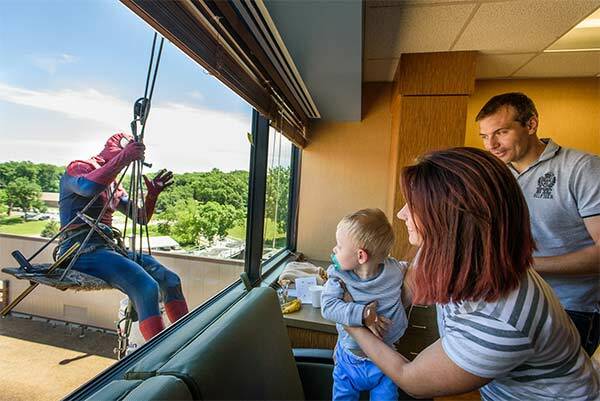 The young patients at the University of Missouri Women's and Children's Hospital were delighted when they looked out their windows and saw Superman, Spider-man, Batman, and Captain America outside. 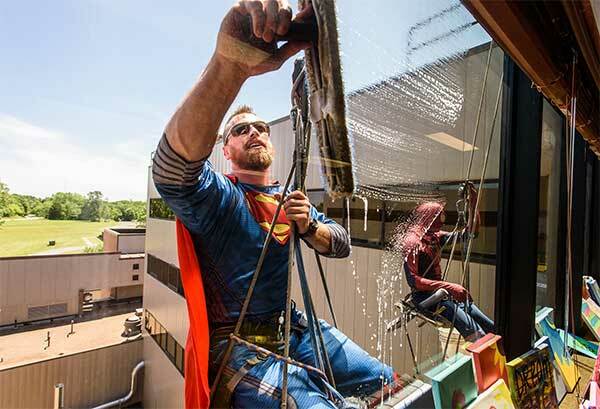 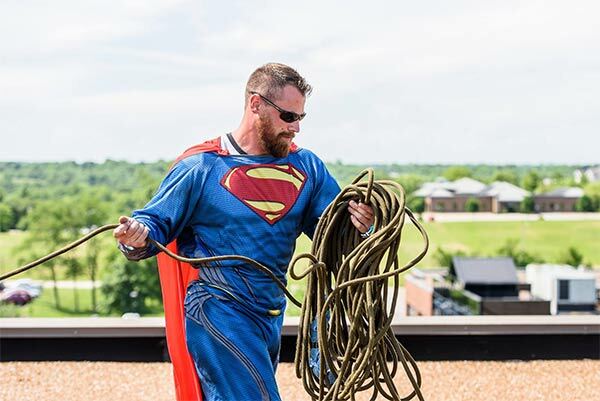 The window washers from Class Glass in Springfield, Missouri, dressed up for work on Thursday, then headed to the hospital with the goal of bringing smiles to the faces of the young patients. 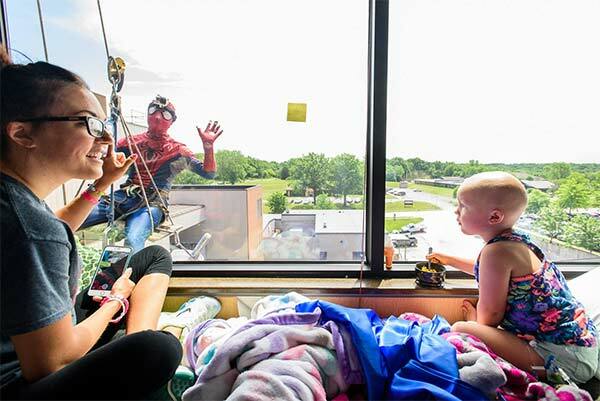 "No matter what they were there for their faces lit up once they saw them through the windows," Stephanie Baehman of MU Healthcare told ABC News. 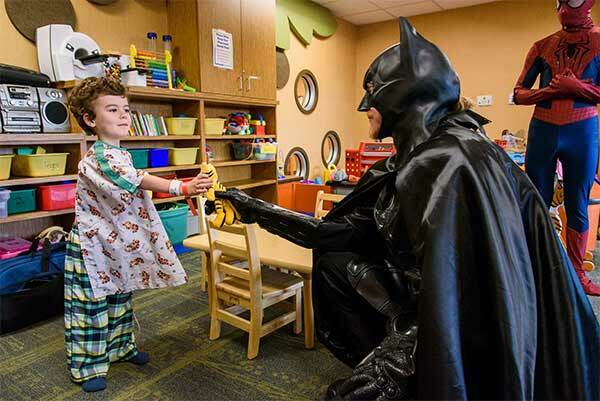 "We had one little boy who got to go home yesterday morning, he was 5, but he said 'Not before I meet those superheroes.'" 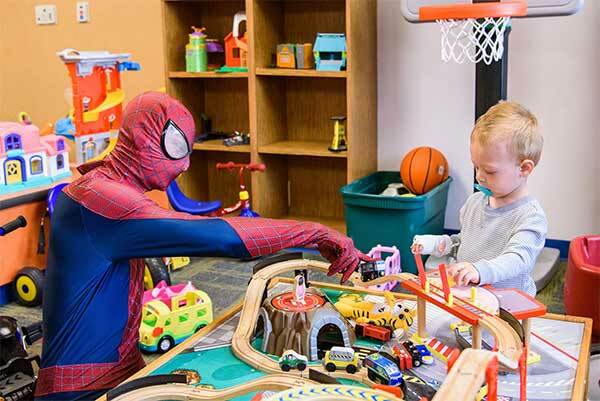 Before going out to work on the windows, the kids met with the superheroes in the hospital playroom. 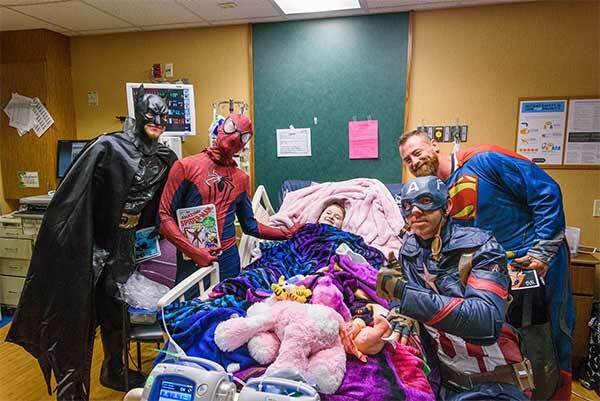 And for the kids who could not leave their beds, the superheroes came to them. 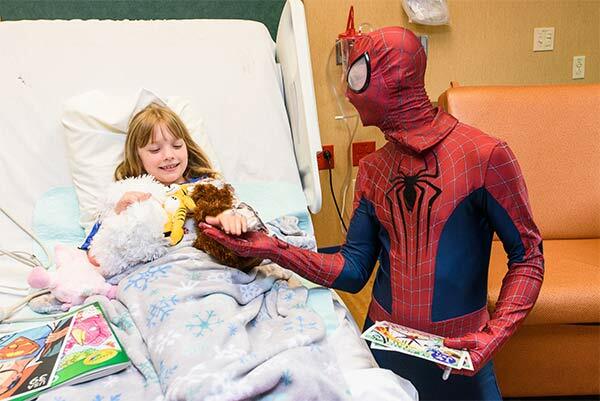 Justin Hess, owner of Class Glass, told ABC News, "I've always been a comic book geek.... 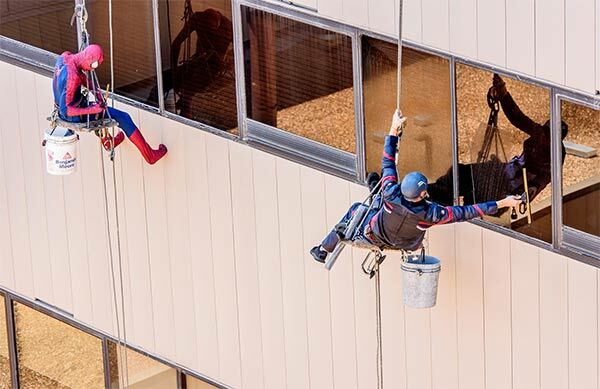 It didn't take much convincing." 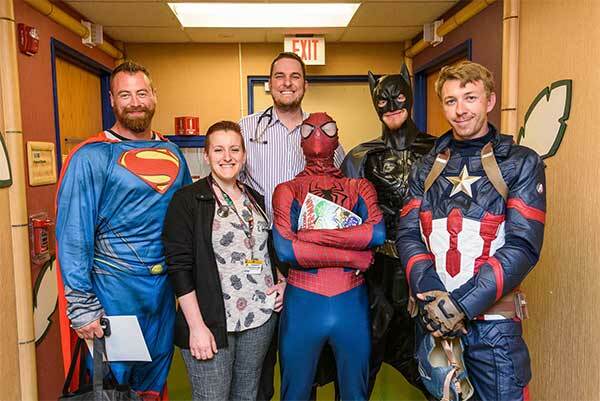 Hess added that all the kids faces "lit up" when they saw Hess and his crew. 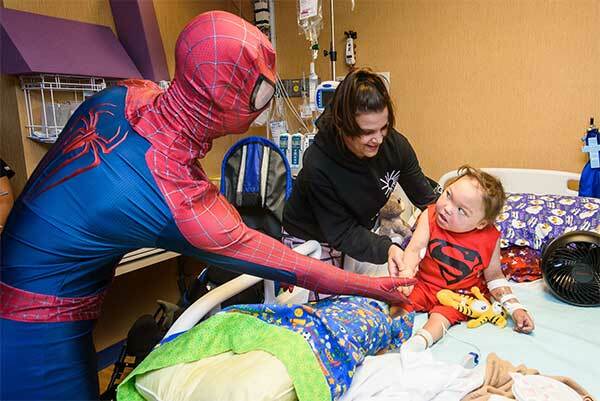 "Some were bashful, some were a little skeptical. 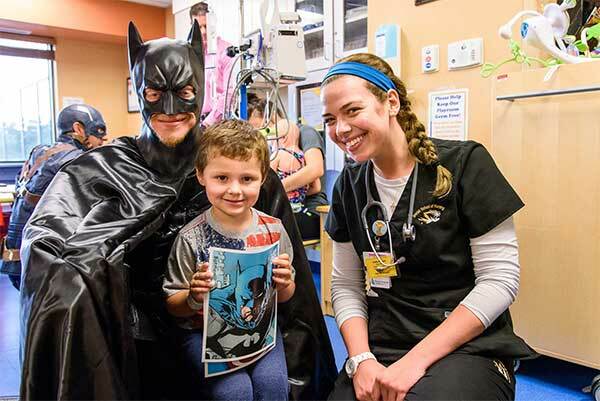 They would peak around corners and stuff, which was cute, but I told them I had x-ray vision and I could see through the walls, so they better just come up and talk to us," Hess, who dressed as Superman, said.